Make It Cheaper helped Greg's Family Gourmet Butchers negotiate competitive rates for their energy needs. Greg's Family Gourmet Butchers pride ourselves on sourcing only the best products from all over Australia for our retail & wholesale customers. Greg's Family Gourmet Butchers have over 20 years experience in the Butchers field, servicing clients within the Rosebud area. 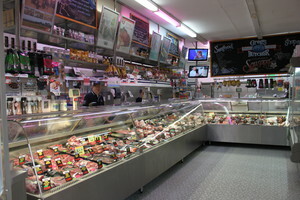 From Red Meat to Sausages, we have the expertise to assist you with all your Butcher requirements. For almost 20 years we have been serving the people of Rosebud with traditional, old-fashioned friendly service. At Greg's Family Gourmet Butchers our focus is delivering a high quality service at a competitive price to all our clients. If you are looking for a professional and reliable Butcher Shop at an affordable price, give Greg's Family Gourmet a call or drop in today. Greg's Family Gourmet Butchers - Butchers Rosebud prides itself on sourcing only some of the best products from all over Australia and is able to supply a full range of high quality, naturally grown beef, lamb and pork products. It’s great to see our expertise pay off – by helping another business to cut out the time and hassle of setting up a new energy contract. Visit our business energy page to see how we can help your business save.